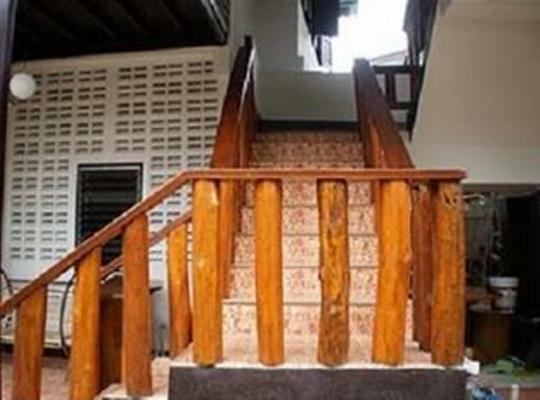 Located in Mae Hong Son Boondee House is a 3-minute walk from the Sai Yud Morning Market. It features free Wi-Fi free parking and air-conditioned rooms with a private balcony. Cosy rooms come with traditional wooden furnishings. Each is fitted with a cable TV refrigerator and tea/coffee maker. Shower facilities and toiletries are in the en suite bathroom. The hotel provides luggage storage facilities at the front desk. Travel and sightseeing arrangements can also be made at the tour desk. The Boondee is a 3-minute drive from Mae Hong Son Airport and a 5-minute walk from the Night Market Walking Street. It is a 10-minute drive from Wat Phrathat Doi Khong Mu and 9 km from Long Necks.